As soon as I get the picture of the data tag in a folder I throw some more pictures that a member here sent me. 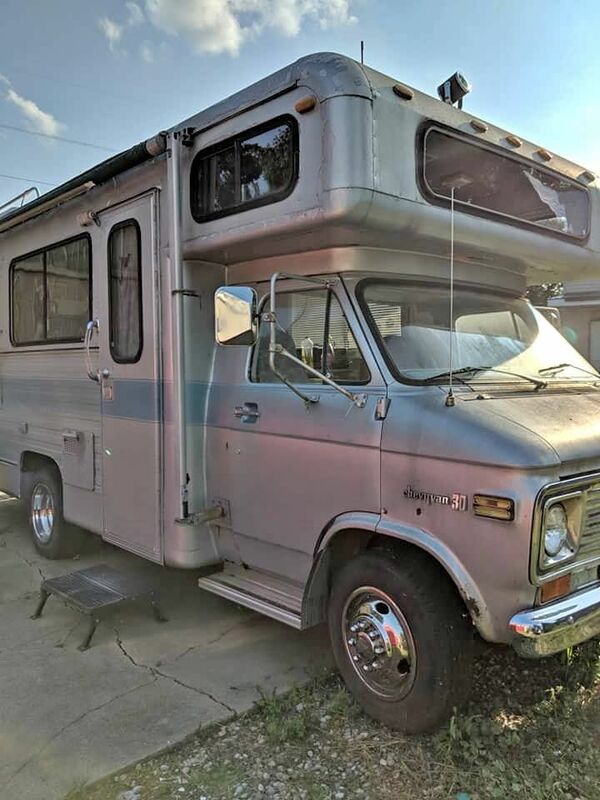 I had heard this lady was selling her '73 Class C and made an attempt to buy it, but, alas, she sold it to someone else. I have no idea who the buyer was. It was going to be a family project with Tere, and Dan, and the triplets, and Meg, stretching out over a few years. This time, I was going to have it shipped home to avoid what happened to me and my old nerves a year ago with the C in Florida that ended up in Denmark. Maybe it's best, because, at age 80, my 'projects', may very well become someone else's projects. Hey, no harm in looking. It's all about the chase, ala Wayne Carini.